Devil Pig : Forum » Points Guide for FREE BATTLES? Forum » [English] HoN, The Card Game » Rules » Points Guide for FREE BATTLES? Points Guide for FREE BATTLES? When are going to be aviable the points for the FREE BATTLES sistem??? You can decide yourself how big a game you want to play. My usual points value is 500 point game. I have played 600-700 point games also, but I find the 500 points a good value. It gives me enough points to build the army I want for the game, but it still forces me to think where I want to spend those last few points as I cannot afford to get everything. The 500 point game in HoN is about 2 platoons per side with a hero or two added. About 5 or 6 orders per side too. Of course if you take lots of tanks, the army will be more compact. This is supposed to be a joyful occasion. Lets not bicker and argue about who killed who. But the points that I am asking for is the units points. How much cost a rifle platoon? And a Sherman unit? Etc. Un the rules It is said that they Will be upload un this page. Everything has a points value marked on the tiles. The big white numbers. For example this recon unit costs 120 points and the two options you buy cost 10 points for Guardian ability tile and 15 points for training tile. Edit: removed an unneeded picture. This is a Héroes of Normandie- THE CARD GAME post. I just saw the HoN symbol next to the post in the new posts sidebar, my bad. I don't have my stuff yet, and have not gotten any info from DPG. However, looking at the French forums, I will ask: What about recruitment cards? Remember: If you are not willing to shell your own position you are not willing to win! 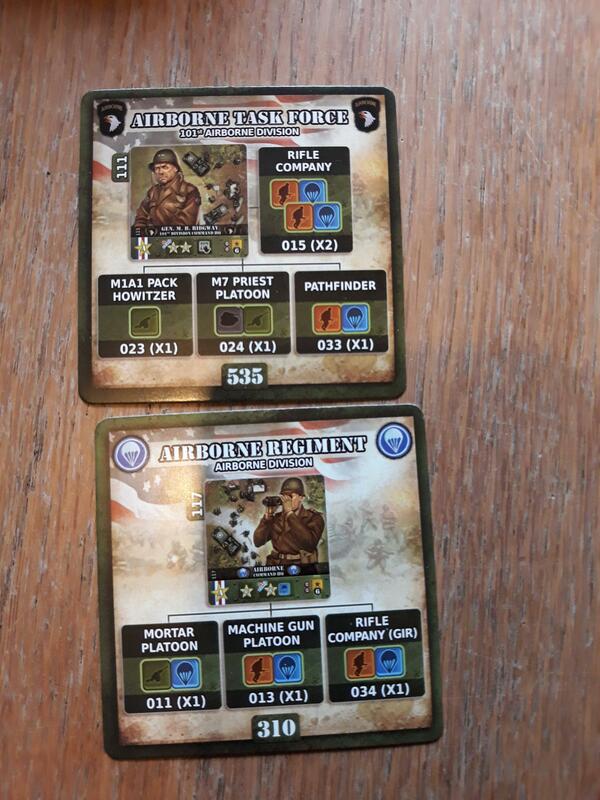 you have points and you can recruit an army : units, generals, counters. If you use recruitment cards, the units are cheaper but you have less choice. Who tested the Free Fight rules? I assume you were asking if anyone has tried out the Free Fight rules? Unfortunately, I have not had the time, but it is on my short list of games to play. sorry, who played / tried the free Fight Rules? in French we says tested or tired or played for the first game.